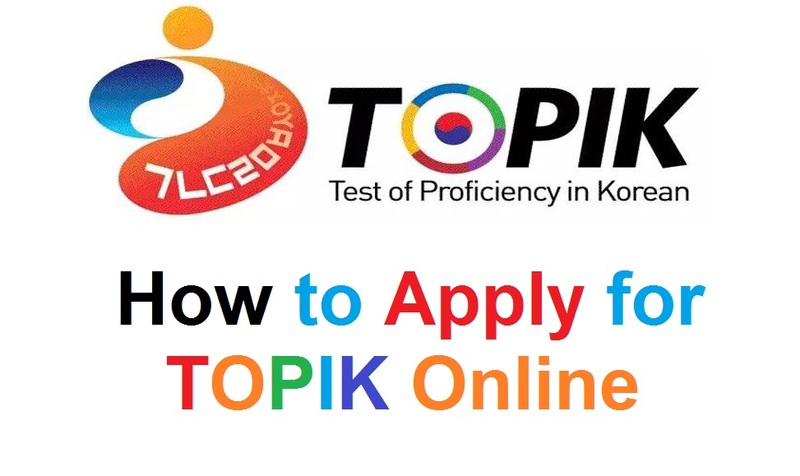 TOPIK (Test of Proficiency in Korean) is designed for people who use Korean as a non-native speaker to evaluate their Korean language proficiency for various purposes such as working, studying, and living in Korea. TOPIK is held 5 times/year in Korea and Asia and 4 times/year in USA, Europe, Africa, and Australia. The application period is opened for only 7 days. So, when you have a plan to take a TOPIK test, you should firstly check the test date schedule & registration period. If you are living in Korea, you can submit application online for yourself or for a group of over 10 persons. If you are living outside of Korea, you may submit applications online and offline, depending on the designated organization to accept applications. enter the ID/password and click "로그인 = Log in". Due to high volume of login at the registration time, you have to wait in turn to log in. So my commendation is to login the website before the registration time 10 -15 minutes earlier. 1. 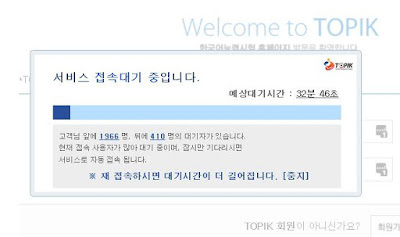 Click "한국응시자 접수 = if you take the test in Korea" or "해외응시자 접수 = if you take the test outside of Korea" in the online application menu. 2. Check the related information such as country, region, test date and so on. Application form cannot be submitted in any period other than the submission period. 1. Search the desired examination venues, or check the list at the bottom. 2. 접수 / 정원 = Acceptance Status/Maximum Number of Applicants shows the number of applicants who have submitted applications to date. No application can be accepted once the maximum number is reached. 1. Click "Previous" if you want to change the examination venue at the photo registration stage. 2. Select your passport photo and click "사진 편집/등록 = Register the Photo". After editing and checking, register the photo. Make sure that the photo fits the standard photo before registration. You are liable any discrepancy between the photo on the examination identification slip and your face on the day of examination. 1. Check the registered examination level TOPIK I or TOPIK II, examination venue, and photo. 2. Enter your personal information and click "등록하기 = Register" button. 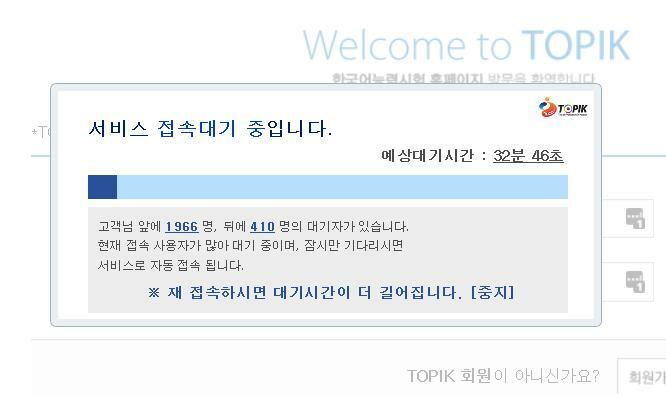 Check all the information once again, and click "응시료결제 = Pay the Application Fee" button. Click the ‘수정하기 = Revise’ button if you have registered the wrong information. 1. Check all the information that you have registered. 2. Enter your personal information and click "결제하기 = Make a payment" button. The application fee costs 40,000 won/applicant. VIII. Verification of applicant details. 1. Click "나의시험정보 = My Exam Information" and then click "접수내역 = Application Details". 3. Check 결제상태 if payment was made, along with the application details. Congrats! The registration is completed. If you have anymore questions, leave us a message via our facebook page.